Funk in 17/8. An of example of Nate Smith “finding the 4” in odd time signatures. An interpretation of the first released track from Nate Smith’s album, “Kinfolk : Postcards From Everywhere”. 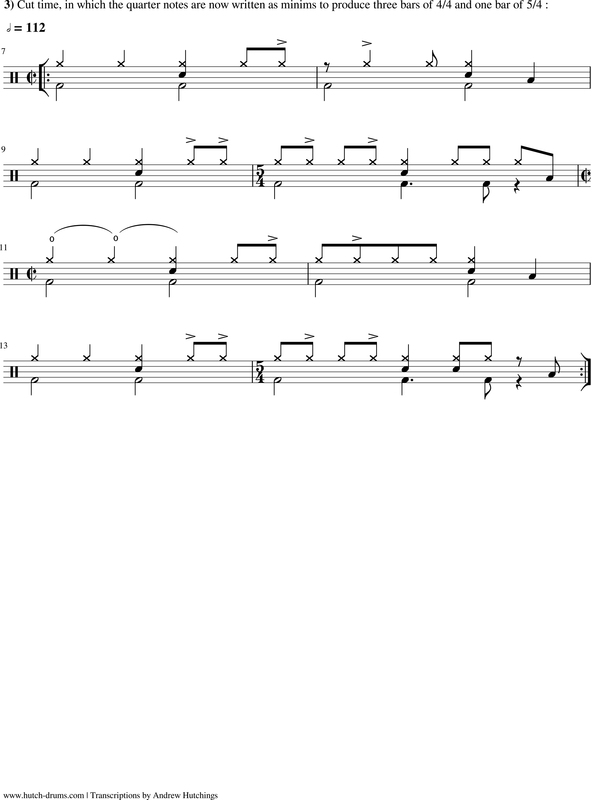 Every second bar has an extra quaver to the count, making the rhythm 4/4 and 9/8 repeated throughout the song. 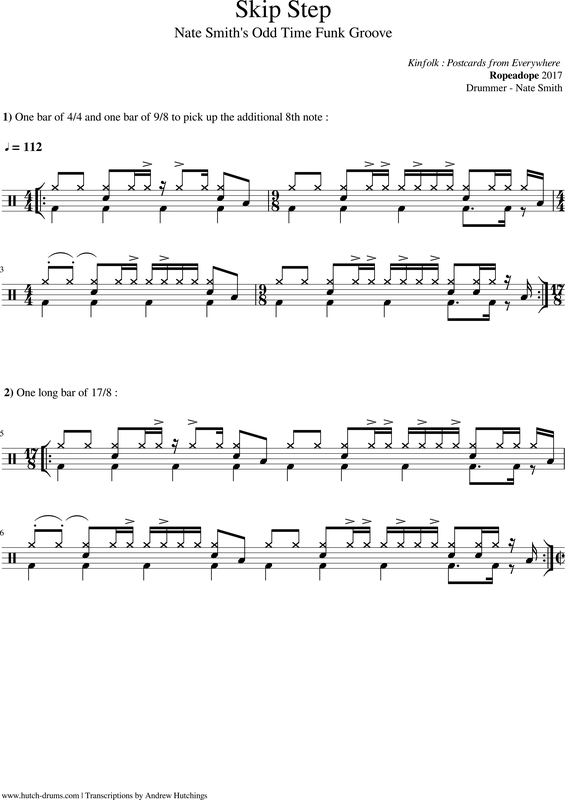 This can also be felt as 17/8 time, with the back beat placed in the bar to “feel the 4”. 3 bars of 4/4 and a bar of 5/4 would also be appropriate and avoid switching between counting the quarter note and 8th note within the phrase. In this case it’s written in cut time to create 17 quarter notes. It’s not what you play, it’s how you play it. Buy The record. Kinfolk : Postcards From Everywhere. Out through Ropeadope, 2017.